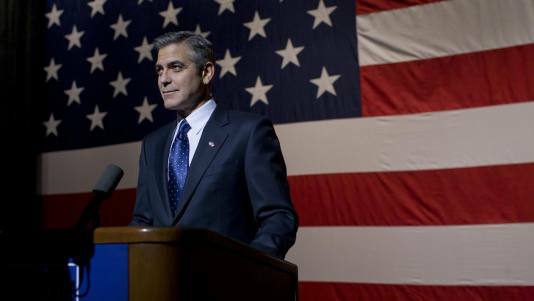 THE IDES OF MARCH screenplay, written by George Clooney, Grant Heslov, and Beau Willimon, was nominated for best adapted screenplay and was directed by Clooney. 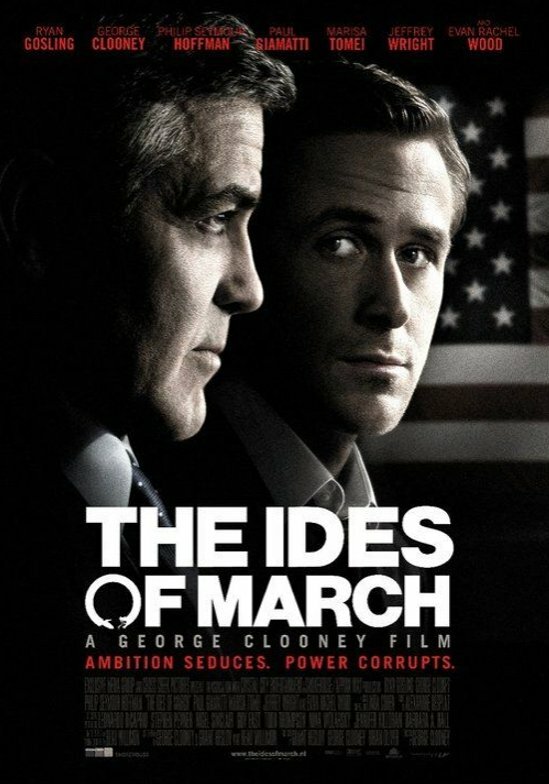 The Ides of March is a 2011 American political drama film directed by George Clooney from a screenplay written by Clooney, along with Grant Heslov and Beau Willimon. The film is an adaptation of Willimon’s 2008 play Farragut North. It stars Ryan Gosling, George Clooney, Philip Seymour Hoffman, Paul Giamatti, Marisa Tomei, Jeffrey Wright, and Evan Rachel Wood. 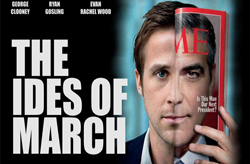 Stephen Meyers (Ryan Gosling) is the Junior Campaign Manager for Mike Morris (George Clooney), Governor of Pennsylvania and a Democratic presidential candidate, competing against Arkansas Senator Ted Pullman (Michael Mantell). The candidates are campaigning in Ohio. A win for Morris would all but guarantee him the nomination; a win for Pullman would give him vital momentum. Both campaigns are also attempting to enlist the endorsement of North Carolina Democratic Senator Franklin Thompson (Jeffrey Wright), who controls 356 convention delegates, enough to clinch the nomination for either candidate. 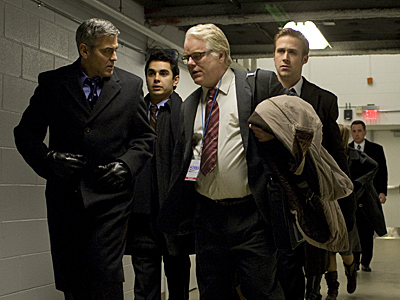 After a debate, Meyers is asked by Pullman’s Campaign Manager Tom Duffy (Paul Giamatti) to attend a secret meeting. Meyers calls his boss, Senior Campaign Manager Paul Zara (Philip Seymour Hoffman), who doesn’t answer. Meyers leaves a message that something important has come up. Meyers meets with Duffy who offers him a position in Senator Pullman’s campaign. Meyers refuses, and asserts that he believes in Morris. Duffy tells Meyers that his optimism won’t last, and that Morris will eventually be cynical and corrupt like the other candidates. Zara calls Meyers back and asks what was important but Meyers says it was nothing to worry about. Meyers starts a sexual relationship with Molly Stearns (Evan Rachel Wood), an intern for Morris’ campaign and daughter of Jack Stearns (Gregory Itzin), the chairman of the Democratic National Committee. Late one night when Molly is in his room sleeping, Meyers discovers that Morris is trying to call her. She and Morris had a brief sexual liaison at a campaign stop in Iowa several weeks previously, and Molly is now pregnant with Morris’ baby. This entry was posted in Movie Scripts - with intriguing tales about the production, cast, writer, director and tagged Beau Willimon, Beau Willimon screenplay, Beau Willimon script, Beau Willimon The Ides of March script, George Clooney, Grant Heslov, screenplay for The Ides of March, screenplay for The Ides of March movie, screenplay pdf for The Ides of March, screenplay pdf for The Ides of March movie, script for The Ides of March, script pdf for The Ides of March, The Ides of March film, The Ides of March movie, The Ides of March movie actor Evan Rachel Wood, The Ides of March movie actor Paul Giamatti, The Ides of March movie actor Philip Seymour Hoffman, The Ides of March movie actor Ryan Gosling, The Ides of March movie cast, The Ides of March movie director George Clooney, The Ides of March screenplay, The Ides of March screenplay download, The Ides of March screenplay pdf, The Ides of March screenplay pdf download, The Ides of March script, The Ides of March script by George Clooney, the ides of march script download, The Ides of March script pdf, The Ides of March script pdf download.